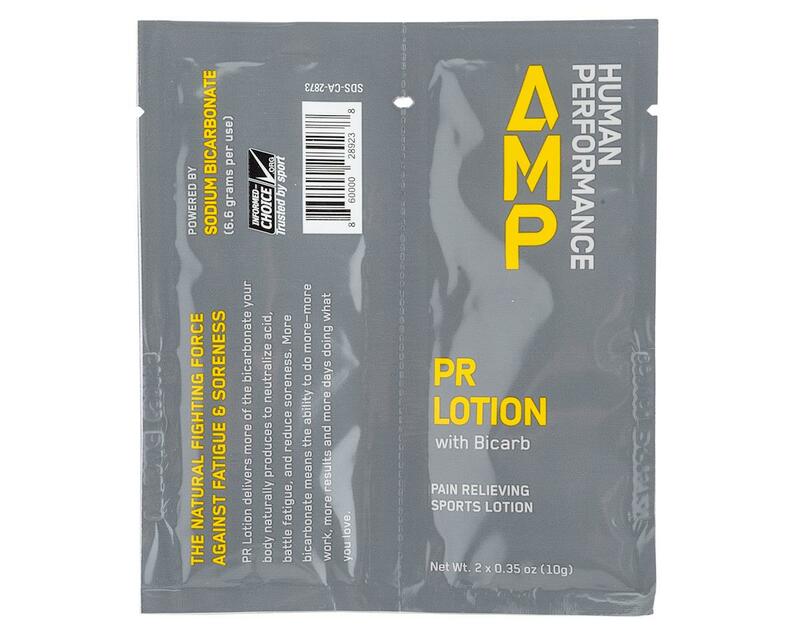 Formerly know as Topical Edge, here is AMP Human Performance's PR Lotion. The PR Lotion is designed to help you get more from your workout and recover faster by fighting fatigue and soreness. It is able to do so by using Sodium Bicarbonate. The Sodium Bicarbonate neutralizes the acid your muscles naturally produce while working out. Since the Sodium Bicarbonate is delivered topically, it avoids all the all the gastrointestinal side effects that come from ingesting it. The PR Lotion will allow you to get the most out of every ride to help you set some PR's (personal records) and get the most out of your recovery with its PR (pain relieving) capabilities for the ultimate PR (performance and recovery) combo.